A brand is no longer what you tell the consumer it is – it is what consumers tell each other it is. In most cases, people don’t buy products, people buy brands. Have you ever visited a store to buy an item, let’s say toothpaste and you wanted a particular brand, like Pepsodent. Maybe because you are used to it, unfortunately, there is no Pepsodent toothpaste but they have other brands like Closeup. Because they don’t have your preferred brand which is Pepsodent, you stepped out and move to the next store where you finally got Pepsodent toothpaste. That is the power of branding. You didn’t buy other brands, not because they are bad but because Pepsodent presented their brand in a way to make you believe they are the best and their toothpaste will make your teeth stronger and whiter. That is how important a business branding is, it increases sales and present your brand to prospects in an appealing way. One of my key selling points has been branding, I understand that a new client is most likely to visit your website to learn more about your business. What they see on your website is whom they believe you are, you might be big in real life but having a shabby website, this will reduce your worth and some prospect might not want to come visiting, although if they had come visiting they would have seen how big you are but your website pissed them off. On the other way round, you might be a startup operating from a small office you created in your home, just a one-man-business but you have a well-branded website, an international standard website that will make your online visitors want to call and learn more about your business. That makes your brand sales oriented. Your website should make money for you, it shouldn’t be just for doing sake. Every website should be sales oriented and should help its owner make money. At Intense Web Concepts we pay attention to our client’s need and develop a web solution that will address those needs, that is what makes us unique from our competitors. All our web development solutions are well planned and developed, user-friendly, strong security, and a call to action that tells visitors the steps you want them to take while on your website. I knew how these works because it happened to me. In 2009, one of my clients made me understand how powerful our online brand was through our website. I was in my office, branding a web development project for a furniture company. I had a small office around Ojodu Berger, that was my first office ever but my website was so big. If you had visited my website before visiting my office, you would have thought we are a multinational company. That is the power of branding. After finishing the website project I checked my email, and here comes this mail, It was from an Auditing Firm located along Adeola Odeku in VI. Immediately I say the mail, I picked my phone to call the prospect for a follow-up, we talked for about 2-3 days before he finally invited me for a presentation. He got to know about me through our website and in his mind, he thought we are a multinational company. I discover that when I met with him in his office. On getting to his office, his secretary told me to wait while she informs him that a webmaster is here to see him. I was asked to come in, he is a very wealthy man doing wonderfully well for himself. He has two laptops on his desk and a desktop computer and he was working on them simultaneously. That was the moment I realized how big I have been able to present my brand to him through our website. He was expecting to meet a man much older than I was then but surprisingly he meets with a young sharp hustler, a very small boy. And I replied by saying “Sir, I am the one you have been talking to on phone all this while” At that point, he took his hands off the computers and looked at me in such an amazing way, I could see the expression in his face. We got to business, he told me what he wanted for his company’s website. Based on his explanations I provided him with tips on how to achieve success on his idea, we reached a conclusion and I got the project. After delivering that project, he was impressed with the professionalism deployed to his website so he ask me to develop another website for his other company and I ended up developing two websites for him. Oh! I did another project for him, it wasn’t a website but its an online-based project. My experience with him made me understand how powerful branding is to every business. My friend, name withheld or let me call him John, I wouldn’t want to use his real name. So John has a road construction company, not that big but he is good at what he does. I and John worked together as a road construction engineer around 2005. I actually worked as a road construction engineer for about a year before I settle for Information Technology. John gets his projects through his friends who are strong politicians, which is a very good thing to do. About 2 years ago, I preached to John about the many advantages of having a website and he agreed to get one for his business. I personally developed the website making sure its an International Standard website having all the necessary features to make an online visitor have a great experience while visiting a website. After the website was delivered, we created an online campaign to drive traffic to the website. Within the first 2months, John started getting job offers from companies, apart from the politician clients he is used to. He now gets jobs from hotels who want an Asphalt finishing for their car park, he gets jobs from schools that want an asphalt finishing and even other companies who can afford to re-construct the bad road that leads to their company. John didn’t see all of these before now, he thought he could only get jobs through politics because he is a road construction engineer and it’s only the government that build roads, forgetting that there are many companies and individuals who need the service of a road construction engineer for their personal projects. John’s website exposes him to these opportunities because it was branded to project his company in an appealing way that prospect will love to do business with him. People don’t buy products, they buy brands. 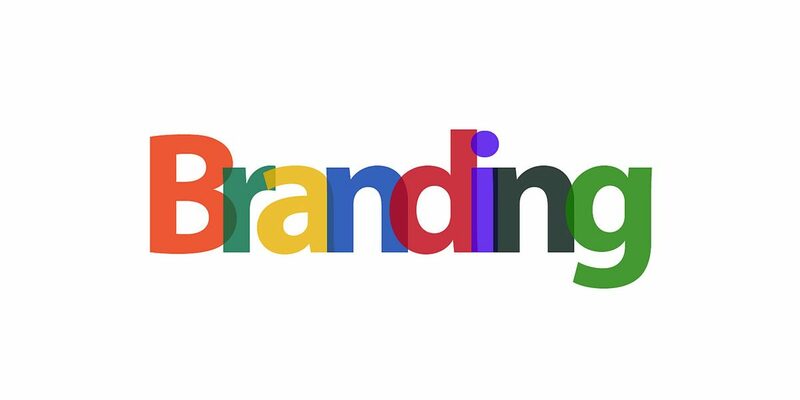 Create a strong branding for your business especially through your website since the world has become a digital playground. Every business needs a website that will serve as an online office for your business “A sales-oriented website that will convert online visitors into customers”. Then use social media and other digital marketing channels to create awareness for your brand.